Private and Confidential. All information here is NOT shared and held highly confidential. 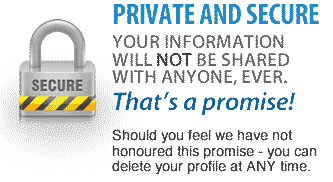 We will NEVER share, trade or disclose any information with any third party - EVER! Your username will be displayed on comments and posts. NEVER publicly displayed or shared with anyone. Receive TRUSTED NOTIFICATIONS AND ALERTS based on your geophysical location.